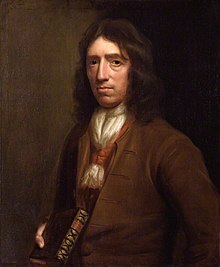 William Dampier (baptised 5 September 1651; died March 1715) was the first Englishman to explore parts of Australia. He was the first person to circumnavigate the world three times. On one voyage he rescued Alexander Selkirk, a sailor who may have inspired Daniel Defoe's Robinson Crusoe. ↑ "Out of the Library". The Sunday Times. Perth, W.A. : National Library of Australia. 3 September 1933. p. 17, Sect. A. Retrieved 7 February 2012. This page was last changed on 27 May 2017, at 05:02.